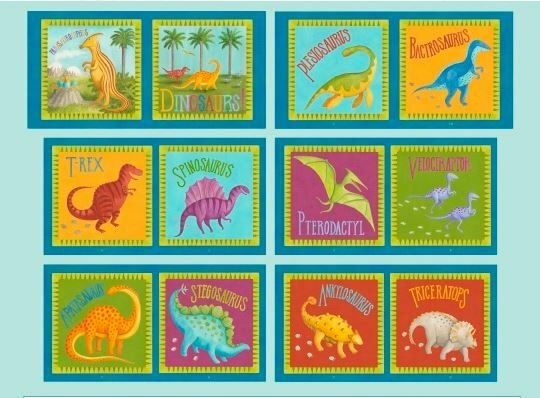 This dinosaur collection is by a new licensor called Nutshell Designs. The collection comes in a fresh color palette and is complete with a 24 inch dinosaur panel and a 36 inch book panel that shows the different types of dinos. The coordinates include a stripe, dot, colorful texture, patch, large and mini dinos.